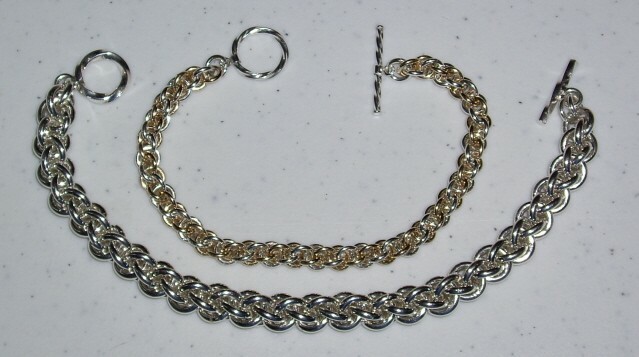 The Jens Pind Bracelet is available in two sizes. The smaller is in 16 gauge rings and the larger one is in 12 gauge rings. They make beautiful his/her bracelets. There is a fairly high degree of complexity to weave this bracelet and it is an advanced weave. The clasp is not included in the kit.